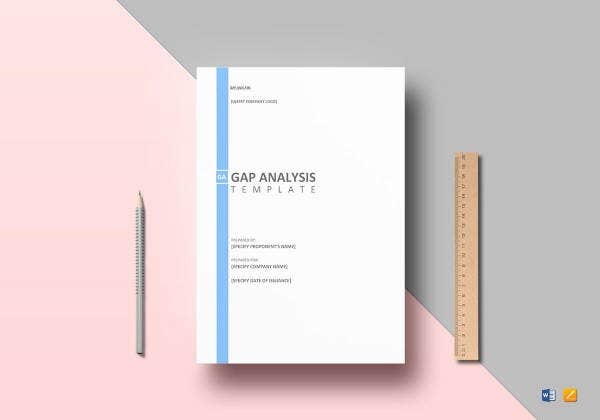 For any laws that will be established within a county or institution, policy Gap Analysis Templates is always there to help the lawmakers to create and adjust the laws that have been a burden instead of tranquility principle in a certain place. The worksheet that is specifically made for lawmakers that are in charge of making policies that needs to be improve or even make a new one to replace the old ones for their people’s welfare and security. For any problems that have been seen in a privacy law for a company, information security policy gap analysis is the preferred for figuring out the flaws of a certain procedures that is made to protect the crucial data any person or group has. 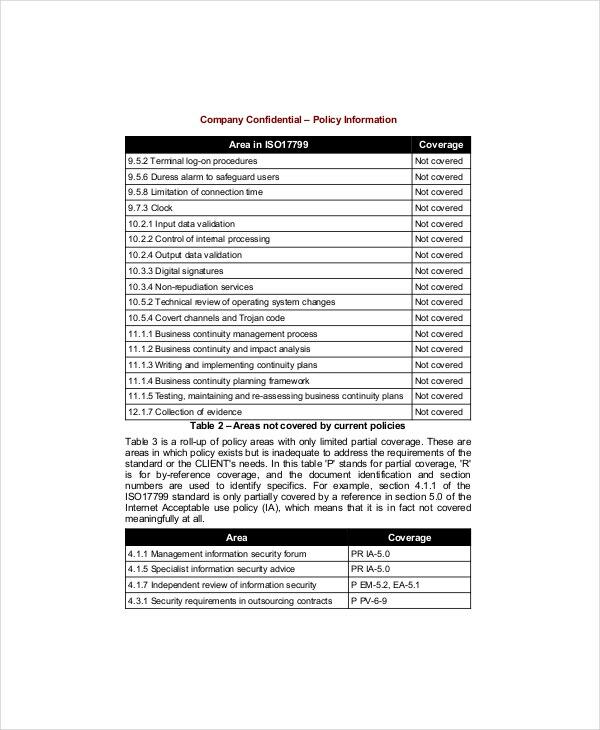 The flow sheet where the user can check if the policy being made can benefit the people and have the standards for an information security set by them be convene. You can also see Word Gap Analysis Templates. For amendments of any laws or any needs of any new law that can bring order and peace in a group then policy gap analysis report will be the best tool to try; the conceptual process where the legal and welfare of the people are the primary concern which can promulgate the creation of a much better policy for their implementation. 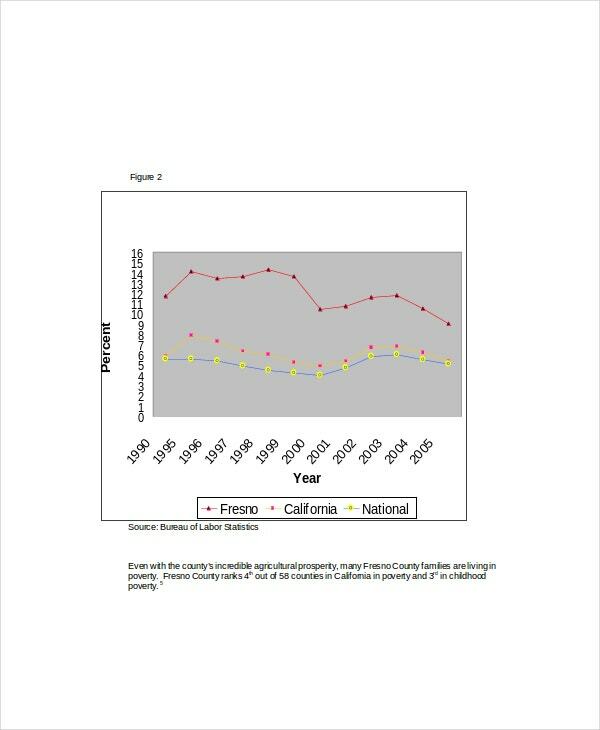 Policy and procedure gap analysis template is the pattern where the users can deliberately show what are the matters that needed to be addressed immediately by creating or even modifying rules and its protocols to bring harmony and equality to each people living in that group. All policies and rules can be amended with the application of this template. When there is a law or policies for its security that need to be evaluated for its efficiency to an information technology company where it is implemented then security policy gap Analysis Templates will take your evaluation to the next step. They can readily input the information they gathered from a gap analysis and have the solutions for each problem that has been identified for a better policy for security in information technology industry. Companies that has many facilities with complex laws in their policies can use this gap analysis to get the main parts of their law be modified whenever needed to bring order and prosperity. There will be instances that laws implemented before needed to be changed to adapt to the changing environment of their place. It is chiefly for promulgating policies that will help any executive or lawmakers keep up the interest of their people as well as theirs also. It will shed a light to the possible consequences if a particular policy is being executed when not weigh up correctly. You can also see Healthcare SWOT Analysis Templates. Ask advice from a law expert when creating a template like this so it will be suitable for the policies that will be amended or removed. Via Microsoft word, excel and pdf file, you can check the contents of the template directly. 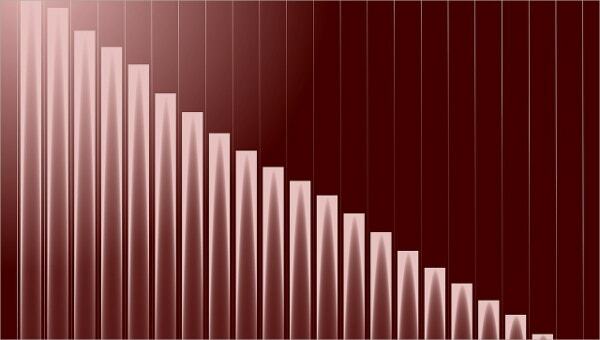 Its instantly usable in any policy making process which fits correctly to the people who will do the analysis report.